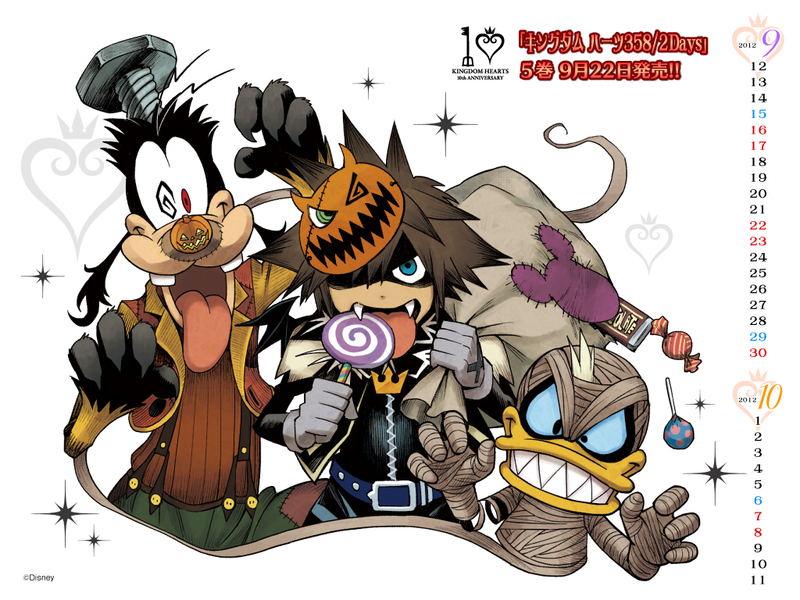 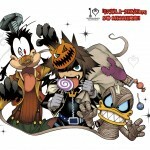 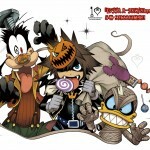 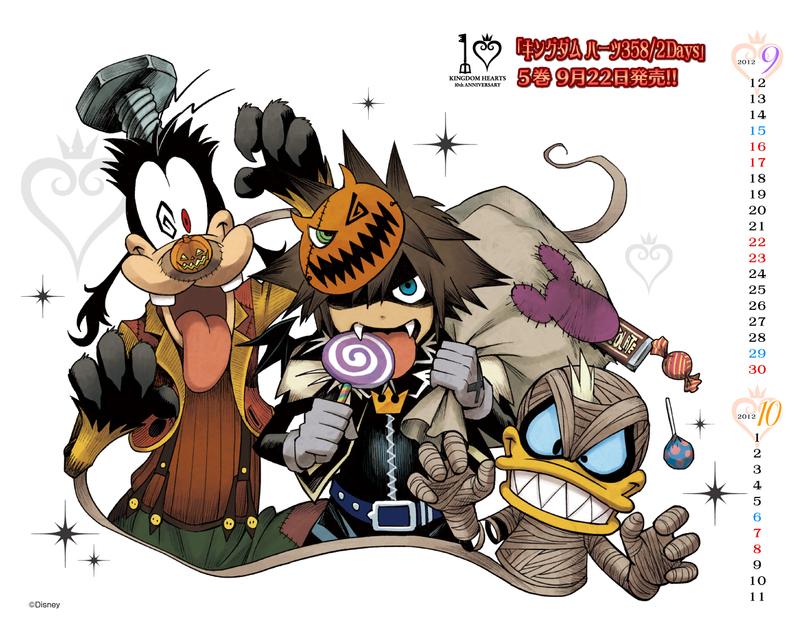 Shiro Amano has finished another Kingdom Hearts 10th anniversary wallpaper, this time featuring Sora, Donald, and Goofy in their Halloween Town outfits! 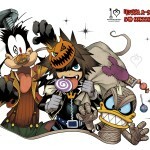 As you may remember, we reported the previous wallpaper in their Atlantica outfits. 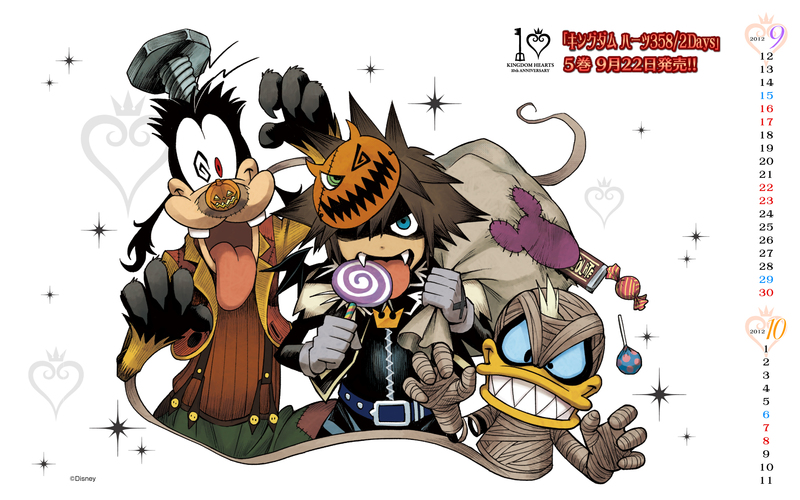 You can now enjoy this type of wallpaper for the months of September and October!